Every game has a strategy. From Monopoly to basic casino slots, every game needs a strategy in order to be consistently successfully. 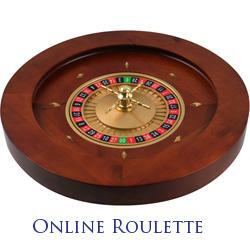 With its various betting options and fast paced style, roulette is no different. We’ll take you through three different roulette strategies and help you become a pro before you know it. The simplest of strategies, which can be applied to many games, not just roulette. The root of the strategy will require the player to only bet on red or black, and forego any number bets. If your initial bet is $1, you adjust this wager depending on whether or not you win or lose. If you win, you continue to bet your initial bet until you lose. If you lose your initial bet of $1, you then bet the same colour but throw down $2 instead. If you lose that, you then bet the same colour again but throw down $4. By continuing to double your bet until you win, you will eventually get paid out and either end up or down your initial bet (in this case, $1) depending how the first bet went. This is a very common strategy and can lead to a marginal gain of money, depending on your initial bet. This strategy is also quite simple, but requires some more money. As the name suggests, this theory is often utilized with a $150 wager. In order to implement this strategy, the player must wager $50 on the first set of 12 (1-12), wager another $50 on the second set of 12 (13-24), and $5 each on 10 numbers in the third set of 12 (ex. 25-34). This will leave the player with only 3 spots (in this case, 00/35/36) as the only way the player can lose all of his/her money. The way the player makes money is here by playing the odds and hoping for a number in the final third 12 to hit. By hitting a number from 1-24, the player will win back their $150 and thus break even. If they hit one of their 10 numbers from 25-36, the player will win $180, thus netting a $30 profit. This strategy works well when you factor in you can only lose your whole wager if 00/35/36 hit. However, when you factor in you have to bet $150 each time to make a max profit of $30, it may not bet the most fruitful way of going about it. This is a hybrid of the two above strategies. The 64% name comes from the fact the player has a 64% chance of winning each spin. The player must bet an equal amount on two of the three sets of 12. By doing this, the player will gain a 64% chance of winning each spin (factor in the 0). If the player loses, then the next wager should be 3x the amount of the initial bet – following the Martingale strategy. The reason the player needs to be 3x the amount here is because the payout is 3:1. This strategy is very effective and simple for the player to implement.